“Today the Angolan people are completely tranquil and quiet. We watch, we see and we say nothing. This is purely because of what happened in 1977,” says Lino Gracia Mateus, an Angolan who lived through the so-called “27 May 1977” massacres that roiled the southern African country that year. Though the vinte e sete (twenty-seventh) remains almost completely unknown outside of Angola, it had—and continues to have—a profound effect on the country’s people, as Mateus’s statement to London-based journalist Lara Pawson evinces. 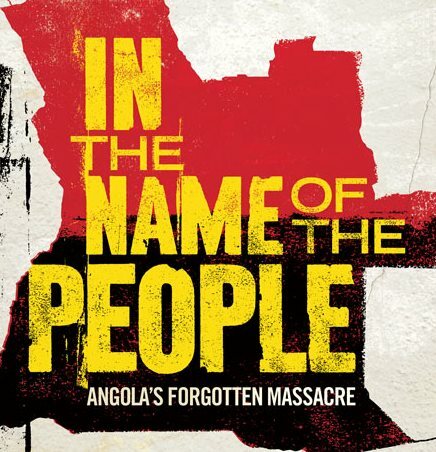 In the book “In the Name of the People: Angola’s Forgotten Massacre” (I.B. Tauris), Pawson—the BBC correspondent for Angola from 1998-2000—attempts to explain what happened on that fateful day, and brings the largely unwritten story to the western world. It’s a noble and remarkable effort, as definitive truths are elusive, thanks in part to Angola’s consistently repressive political climate. Yet Pawson’s investigation—which took her from London to Lisbon to Luanda—is readily accessible to readers, thanks to her vivid descriptions of meetings with eyewitnesses, victims, and even perpetrators. In the following Failure Interview, Pawson puts the Twenty-seventh of May in context and provides a sense of why it’s such a challenging subject to address. In a nutshell, what happened in Angola on the Twenty-seventh of May 1977—and in the aftermath? One of the reasons I decided to write a book about this subject is because I felt it couldn’t be described in a nutshell. And the more research I did, the more people I spoke to, the more I found that to be true. But some say that on that day an attempted coup took place, one which was led by the former minister of interior administration, Nito Alves. He had the support of a section of the Angolan army, the 9th brigade, and quite a lot of popular support among the public. Others insist that it was not a coup attempt. These people claim it was a demonstration against the government—the Popular Movement for the Liberation of Angolans (MPLA). They say if it had been a real coup attempt, the president, Agostinho Neto, would have been killed. The fact that he wasn’t, they argue, shows that it was not a coup. By the time I finished writing “In the Name of the People,” I believed both sides: I think that some of the senior figures in the uprising did want to carry out a coup, but failed. I also believe those Angolans who told me that they participated in peaceful demonstrations and had no intention of supporting a coup. Why does the Twenty-seventh of May interest you so much? My interest grew out of the secrecy surrounding it. It seemed to be such a taboo among Angolans. 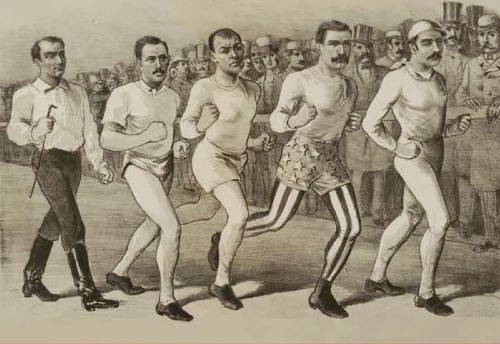 Second, I was struck by the lack of published material about it, and that which did exist, on the whole, merely reproduced the government propaganda of the day. I found the odd exception—such as a superb paper written by British historian David Birmingham [“The Twenty-Seventh of May: An Historical Note on the Abortive 1977 Coup in Angola,” in the journal African Affairs]—but given the depth of trauma produced by the vinte e sete, and the fact that the trauma has continued for decades, I felt it deserved a much deeper and longer piece of work. Why did the incident become so taboo to talk about? Is it that Angolans haven’t had closure—that they don’t really know what happened? The main reason is because of what it represented. Here you had this formidable liberation movement, the MPLA. It was seen, not only by many Angolans but by many around the world, as a beacon of African and also black liberation. Reggae stars far from Africa—such as Jamaica’s Tapper Zukie—wrote songs about the MPLA. Cuba’s Fidel Castro backed the MPLA. Socialists around the world supported Neto as the man who would lead Angolans to freedom and independence. Indeed, Amnesty International was created, in part, in response to Neto’s imprisonment by the Portuguese. The MPLA and Neto symbolized freedom and equality for southern Africa and with the help of Cuban troops had stood up to—and defeated—the apartheid government of South Africa. So when this great movement, led by Neto, carried out such a brutal crackdown, not on the enemy but on their own militants—their own <i>supporters</i>—I think that the shock and trauma and disappointment were so unspeakably deep that many Angolans couldn’t bear to discuss it, or confront it. They just wanted—and many still want—to forget. The other reason has to do with the MPLA itself, and its authoritarian nature: it has succeeded in controlling what information gets out of Angola, and controlling its supporters, including foreign journalists. So the lies and untruths have endured, thereby emphasizing the danger of speaking out about what really went on. How much do memories of the violence help the government to quell dissent—even today? What is so fascinating is that some of the people who are afraid of demonstrating in Angola don’t actually have their own memories of the 27 May 1977 because they were not born. Yet the stories about the vinte e sete get transported across generations. Parents and elders tell the next generation about what happened and warn about demonstrating against the government. So in some ways the culture of fear is learned or passed on from one generation to the next. And yet, a lot of younger Angolans I have spoken to admit that because their parents don’t speak about the vinte e sete, they don’t even know what happened. They just have this vague idea about what happened, a vague idea of terrifying violence. Of course, state violence and dictatorship did not start with the MPLA government. Prior to independence in 1975, Angola had been ruled by a fascist Portuguese dictatorship which had used violence, and the threat of violence, as key tools for controlling the population. Add to the mix the centuries of violence and subjugation before that—I suppose I am thinking of the slave trade here—as well as the violence of the war for liberation (1961-74) and then the civil war (1975-2002), and you realize that fear and violence have gone hand in hand in Angola for a very long time. The Twenty-seventh of May added to that, made worse by the fact that the MPLA was supposed to be the force for good. Do you think that people who discuss the incident—even in Portugal or England—are at risk? You mean Angolans? Yes and no. It depends where they do it. Privately, I think people can discuss the events of 27 May 1977, of course. But publicly it’s another matter. I know people who have received calls from their parents in Luanda [the capital of Angola], begging them not to get involved with the 27 May 1977 or with my book. There is a fear that if you challenge the regime on this subject (and other matters, too) that you will lose your job, or your family members will lose their jobs, and life will become much harder. To that extent the MPLA is quite clever: it controls people less through direct physical attacks than by the threat of poverty, social and political exclusion, instability and so forth. Why does the vinte e sete remain so little-known outside of Angola? Generally speaking there is a lack of interest (in non-Portuguese speaking countries) towards Portuguese-speaking countries on a whole pile of matters, so to that extent the 27 May 1977 is no different. But foreign journalists, academics, and historians have a major role to play: those who covered up the Twenty-seventh of May by merely spouting the propaganda of the day have a lot to answer for. I was told that I’d never get my book published in English. People looked at me dumbstruck; they’d ask me why I wanted to write about something that happened four decades ago in a country that few people know much about, if anything at all. I think there is a general laziness: we like to read about what we already know. And business often wins the day, so some people are interested in Angola, but only in respect to its oil and diamond and gas reserves. Is there another massacre to which you can compare the Twenty-seventh? I’ve met Spanish people who have said that it reminds then very much of the Spanish civil war. Angolans often compare it to the massacres that took place under General Augusto Pinochet in Chile, and also Robert Mugabe’s Matabeleland massacres in Zimbabwe. But I’m not sure if these sorts of comparisons are helpful. Do you see yourself going back to Angola? I hope so. There are several people there who I love very dearly. Good friends who mean a huge amount to me. I miss them a great deal. Do you feel like your effort to find out what happened was successful? I’m not sure. In some ways, yes. But I am pleased with the end result of the book and I am especially pleased that it has introduced people across the world to Angola. I believe it has provoked much-needed discussion among Angolans and Angolanists, and I think it will continue to do that. 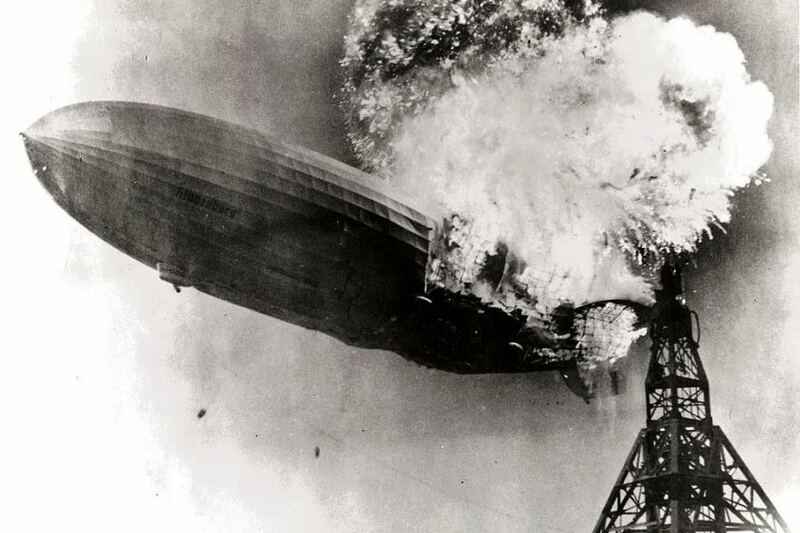 The Hindenburg—A classic failure revisited. 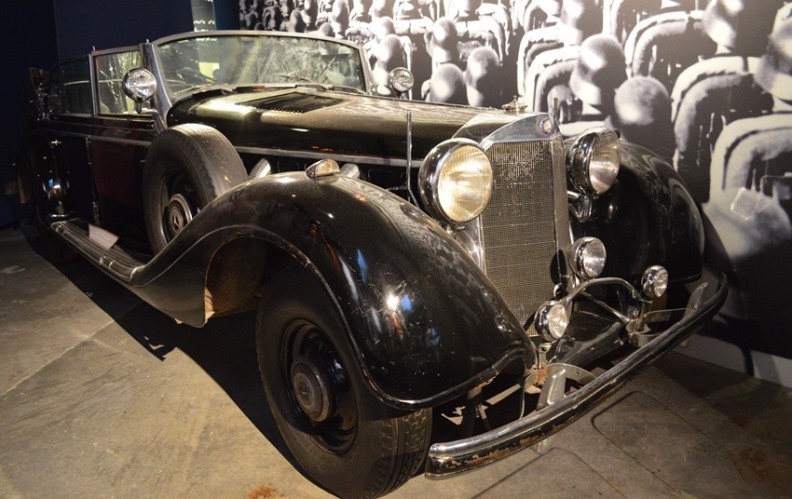 The Devil’s Mercedes—The bizarre and disturbing adventures of Nazi limousines in Canada and America, including one frequently utilized by Adolf Hitler.